Succulents? You mean those fleshy-leafed or thorny dusty plants that so often are the outposts or contents of tired, neglected gardens? No, I mean those glorious, fleshy- leafed plants and shrubs that can make our Algarvian gardens glow with colour and richness throughout the year. At this time of the year we are particularly aware of aloes, those thorny leafed succulents whose wonderful flaming spears set the garden alight in winter. Flowers that are set off by the architectural curling beauty of their leaves, which even at the height of summer and without flowers can fill a garden with interesting shapes, textures and shadows. Aloes are of course just one variety of succulent. There are many other different varieties many ideal for our Algarve gardens. Most enjoy the merciless sun of summer, need very little water, grow quite easily in our soils and they seldom look untidy or unhappy. Apart from all these advantages while their flowers are pretty, their best feature is that their leaves seem to glow in the sunlight providing continual interest through out the year often changing colour with the seasons. Of course many of us have come to know many succulents as houseplants – rather exotic and usually solitary. Not so in the garden unless they are the dramatic Euphorbia candelabras they need to be planted in groups or banks so they make a definite statement. Easily done as most succulents can be grown from leaves or cuttings. Planted in this way their leaves either silver or grey [Echeverias] or dark emerald green [Crassulas] which will provides glorious pools of colour throughout the year. For those of us who live in apartment succulents can also be grown in pots. They look particularly lovely when a variety of similar coloured leafed plants are grown in large circular clay dishes . There is one problem with succulents - their names. 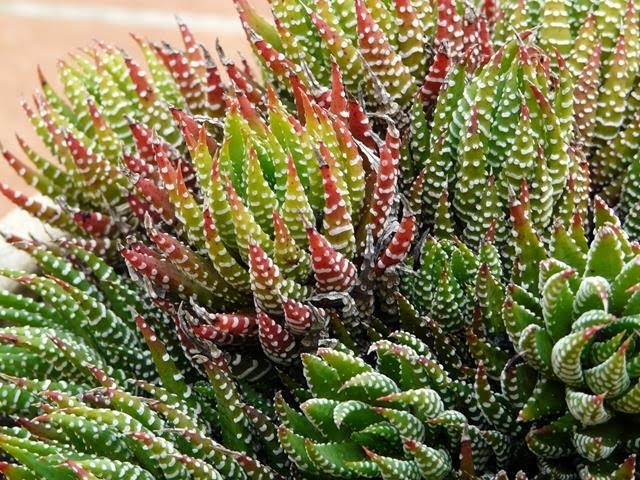 Although some names will be familiar – aloes, agaves and euphorbias - what do most of us know about sedums, echeverias, cotyledons, crassulas, kalanchoes, bulbines ,sempervivums or a graptolpetalums? But armed with names like these why not start to explore their world? The reward for your gardens will be immense and once you have planted these garden jewels they will never cease to delight you.